When sanitary portable toilets, hand wash stations or restroom trailers are needed in Friendswood, the go-to resource called upon is Texas Waste Co. We understand that clean porta potty rentals have a large impact on the quality of your business, construction site or special event and that’s why we only provide the very best. Since 1999, we have owned, rented and maintained porta toilets and other portable party rentals to ensure that the quality we guarantee is the quality you receive. Even porta potty brokers prefer to work with us. Our reputation for dependable, same-day service paired with the exemplary sanitation of our portable facilities make us the leading choice for your porta potty rental needs. At Texas Waste Co., we also believe in honest pricing. You won’t find a mess of additional fees with us, just simple ‘all in’ or ‘drive out’ pricing so you know exactly what you’re paying for. The next time your business, construction site or special event is in need of a porta potty, hand wash station of restroom trailer, contact Texas Waste Co., a company that doesn’t just serve Friendswood but pays the support forward by hiring and spending local, too. The small community of Friendswood was established in 1895 by Religious Society of Friends (Quakers). The city boasts a total land area of 20.9 square miles and is home to Joseph Gutheinz, an attorney and investigator of stolen and missing moon rocks. If your looking for the best service and price for porta pots in Friendswood, TX we have them. 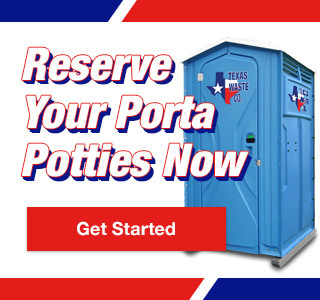 Friendswood – Porta Potty Rentals Available Now!